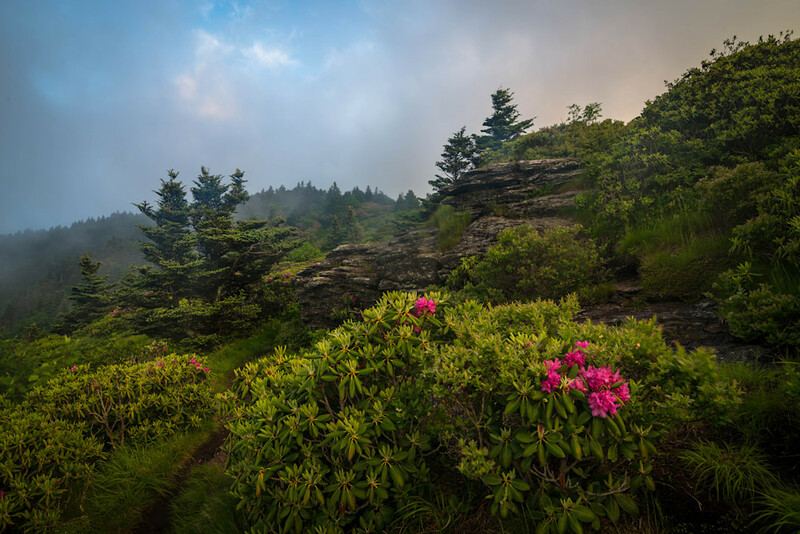 The Roan Highlands are the longest stretch of grassy bald in the Appalachian Mountains, spanning nearly 1000 acres of blissful, sun-drenched, grassy mountaintop. The views from Roan’s rolling, mostly-bald mountains are fantastic, stretching in full, 360-degree panoramas. Sunrises and sunsets are epic from its grassy ridgeline: the sky is abundantly wide, and the surrounding mountains reflect the sun’s colorful, golden light. It’s a great day hike, backpacking adventure, camping trip, or picnic spot with exceptional views.